Product Information management System: What is it and Why is it Important? Today various ecommerce sites, other online channels and mobile search are where consumers head to when searching for information on products. According to Retail dive, more than 65% of consumers conduct online product research before stepping foot in a store. More than 55% of consumers visit stores before buying online, emphasizing the idea that high-touch physical and seamless omnichannel experiences are critical for modern retailing. As a result of changing consumer behaviors and increasing demand for seamless shopping experiences, businesses have started using digital marketing strategies widely. With the growing use of digital, it has become important for every business to communicate consistent branding and accurate product information across the Omni-channel landscape. Product Information Management system is therefore required to overcome such complexity and scale that has been created by various channels offline and online. PIM is widely used by ecommerce managers, online merchandisers, marketers and product managers who are always looking for friendlier tools that enable them to manage all their product information in one place without having to constantly calling out for information from colleagues and partners via emails and calls. Product information management system is necessary for managing the customer-facing product strategy. This is because consumers today spend a lot of time researching a product online before making a purchase. Consequently, the need for high quality product content has become more important for manufacturers, retailers, distributors and CPG firms. The product description today has a big role to play to make a sale happen online. Having detailed product descriptions is the main differentiator in customer experience. 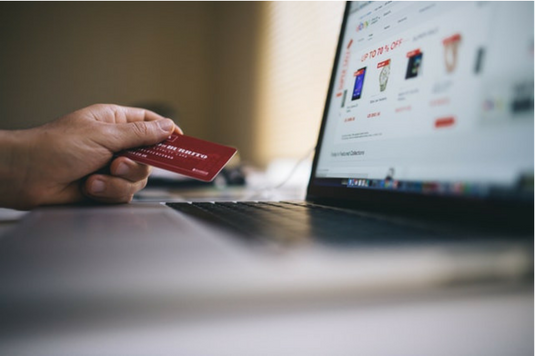 Studies have shown that 30% of the US online adults would prefer shopping from online retailers they have never made any purchase from if the product information on the website is detailed. There is a new breed of buyers due to the increase in the demand of high-quality and consistent product information. As a result, 33% of channel strategy professionals and eBusinesses cited that investing in product information management system is their top priority. Why do businesses invest in PIM? The decision to buy a PIM solution is not the same for everyone. The needs of retailers differ depending on the industry and type of business. There are many scenarios that cause customer-obsessed businesses to make an investment in PIM. Below are the main scenarios. The need to have a single view of the product data that is customer -facing. Businesses that create their own products have used product information management systems since time immemorial to get buy-side supply-chain-related data like product weight and dimensions. These businesses also need the PIM for one repository for the consumer-ready, approved and trusted product content that is accessible across their enterprise to the internal users and are also accessible to the external channel partners like resellers and retail distributors. To reduce time that is needed to market new products that have been launched. Manual processes hinder the goal of streamlining such as designing, creating, publishing and approving. The PIM helps automate most of the processes needed in product creation. To be able to support bigger product catalogs. PIM offer scalable solutions that allow firms to increase their SKUs and products without worrying of system scalability. To support the increasingly demanding channels of the distribution partners. PIM gives the ability to manage the unique product content for each channel partner and tools needed to syndicate out the product content in required predefined specifications. To ensure consistent cross-channel customer experience. The product information management system is a great investment you can make. You just need to pick the solution that suits your business. If you have any question or need any help? Simply send us an email and we will be happy to give you the help you need.